PENTHOUSE IN YALETOWN - unobstructed views of the North Shore and Mt. Baker await you from this fully updated 1 bed/den suite. With excellent finishings and functional layout, the suite offers many upgrades; newer appliances, laminate floors and light fixtures. The quiet, north-facing balcony is perfect spot for an after work cocktail. 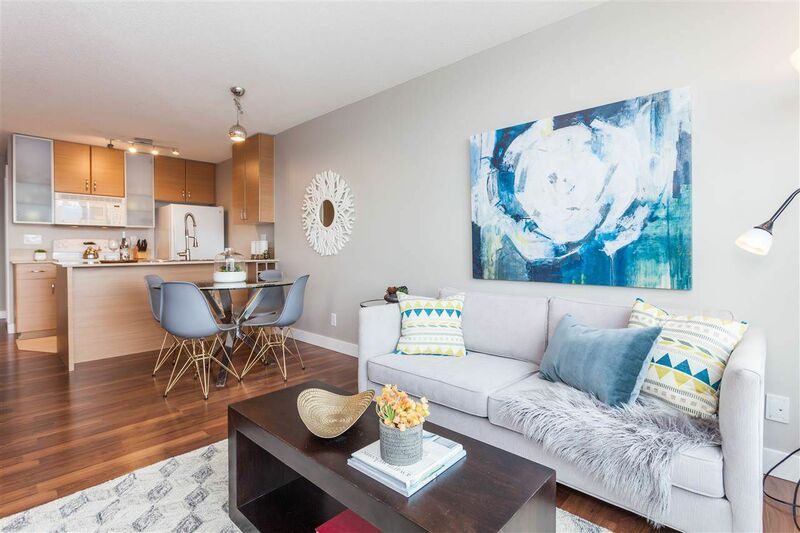 Yaletown Park is well maintained strata with an onsite caretaker and 24 concierge. Superb building amenities - gym, party room, rooftop garden and guest suite. Enjoy your "Yaletown lifestyle" with convenient transit, theaters, shopping, restaurants, concerts, sports and great parks. Suite includes 1 parking stall and locker. Rentals, pets welcome. A Must See! OPEN HOUSE: Dec 11th, 2-4pm.